Organ donors, or lack of, are a constant problem all around the world. In June 2017, the BBC published a report on organ donors here in the UK. 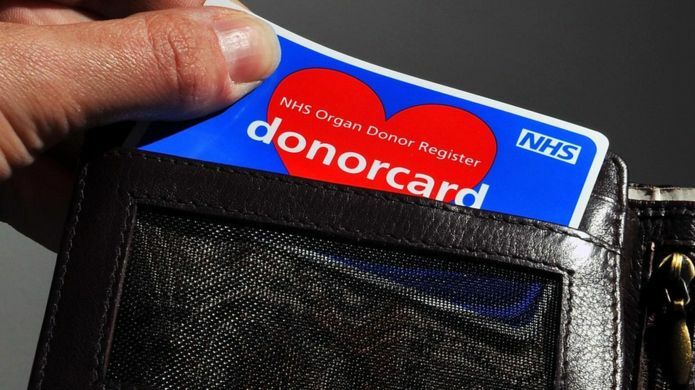 The article reported that three people a day die in need of organs according to the ‘NHS blood and transplant.’ Despite this shocking statistic, 36% of Britons (23.4 million) are already registered as organ donors which is 20% higher than five years ago. The current law in England is based on an ‘opt-in’ system. This means you have to go to ‘NHS Organ Donor Register’ online and register yourself. Fair enough you might say, but with only a third of Britons registered and with such a high avoidable death rate, it is no wonder why campaigners and the government are seeking new ways to encourage or legislate new systems. In Wales, they use a ‘deemed consent’ system which has been in place since December 2015. What this essentially means is you are assumed to have given consent as an organ donor unless you physically opt out online. After the decision was made in 2015, only 6% of the Welsh population opted out. In the year following the change, 39 organs were transplanted through the ‘deemed consent’ system. It is worth mentioning of course that the ‘deemed consent’ system doesn’t includes children or those who lack the capacity to understand the system. It is a wonderful thing to think that 94% of the Welsh population are potential organ donators. Scottish ministers, with the help of ‘The human Tissue (Authorisation) (Scotland),’ agreed in June 2018 that Scotland will follow the Welsh example and introduce a ‘soft opt-out’ system. The difference here is family members can still intervene if they have strong objections. The date for the change in legislation is not yet confirmed. This has only increased pressure on English ministers to adopt a similar system. At the time of writing, Northern Ireland hasn't published any plans to adopt an opt-out system. According to research by channel five, 7,000 people at any time in the UK are waiting for an organ. They also state that 1,000 of that number will die waiting due to donation shortages; 200 of which are under the age of 18. I cannot comprehend the mind of anyone who wouldn't want an ‘opt-out’ system in place here in England. I am sorry to say, that we Britons can be a little lazy when it comes to being charitable. Thats why people knock on our doors asking for money, organ donation campaigns on social media and oxfam adverts on our TV. When did you last sit down and think: “i’m going to choose a charity to support today?” I would cautiously suggest that if we were never prompted, many of us wouldn't give to charity. With this in mind, why not have an ‘opt-out’ system? If you have your own religious reasons that doesn't allow you to donate your organs, then go online and opt out. I would also cautiously suggest that if you ‘cant be bothered’ to go online and opt out then you can't have very strong religious convictions. Theresa Mays government had indicated that the opt-out system could be in place by April 2020. In the meantime, you can go to www.organdonation.nhs.uk and register yourself as an organ donor. The NHS will send you a card to keep in your wallet or you can download your own. One of the most important things about being an organ donator is making sure you share your wishes with your family. It would be an unnecessary shock for your family to find out last minute that you registered as an organ donor, especially if you are from a culture or religious disposition that would cause conflict of opinions. I was spending a weekend at my partners house with her and her family and I couldn't help but notice how often we all ended up on our phones. We spend so much time on our expensive screens these days that it has become normal behaviour, however, it’s only when you lift your head up from time to time, do you realise there is a problem. On the Saturday evening we had all sat to watch a film in the living room. We were all well wined and dined, courtesy of my partners mum Sarah, so we were all keen to laze around. I noticed when the film had stopped for the adverts, everyone, in unison, took out their phones and begun to mindlessly scroll through their favourite social media platforms looking of something to waste enough time for the adverts to be finished and film resumed. This is where you realise that you’re only looking at your phone to waste time. This is the same as watching youtube, scrolling through Instagram, stalking a friend on Facebook or otherwise. We do the same with our DVDs. As a part of my minimalism journey, I decided to sell all of my DVDs, all 80+ of them. I came to the conclusion that the only reason we display our DVDs on a shelf or stand-alone recycled bookcase, is to waste time. Next time you think about watching a film from your large collection, ask yourself why. The most common reply is simply, ‘I’m in the mood for a film,’ but you’re not. You simply have nothing else more creative to do so you end up putting on a film that you have already seen one hundred times already. I cant help but find this really concerning. When was the last time you looked at a book and said: “I’m going to read that again?” Reading involves using The occipital lobe which sits in the lower, back part of the brain. Containing the visual cortex, this lobe's principle purpose is to process visual information. This takes effort in other words but watching films, scrolling through Facebook or otherwise are ‘mindless’ activities. Reading novels, according to a study(see link below), can improve brain functions and enrich the visual cortex. To tie all this together with a pretty little bow I would cautiously suggest that watching films and mindlessly scrolling through your social media feeds is not only wasting you time but not contributing to you mental growth. The effect of social media on the minds of the young is still an enigma to us but how can we appreciate the problems when we still have our own heads stuck in the devices that demand our attention and our allegiance? Let me be clear from the outset; there is no such thing as good debts. Let me also be clear; this blog is not selling you car finance. In this blog I will be educating you on what a Personal Contract Plan (PCP) is and why so many people fall into a trap. As an ex Ford salesman, I can only refer to their own form of PCP, Ford Options, but in essence they are all the same irrelevant to which brand you look at. Most people know what Hire Purchase (HP) finance is but just in case you don’t, a HP is the simplest form of financing a car and you will need to know the general idea to understand the PCP. So, you see a brand new car you like, a Ford Kuga for example. It costs £30,000 but you don't have £30k to splash out on a new car. You only have £5,000 cash to use. A HP is when you put down your £5k, or less, as a deposit then finance the rest over a pre agreed time plus interest. In other words, you pay the £5k which brings the price of the Ford Kuga down to £25,000. You agree a term which is usually 36, 48 or 60 months (3, 4, 5 years respectfully), then the interest is added. We shall use the Kuga example of a 36 month term with an APR (interest) of 9.9%. Notice that the 9.9% is calculated on the £25,000 (C) giving you the figure £33,821.52 (D) which, as you can see, means over the course of 36 months you are paying £8,821.52 (D-C = the interest). I know, I know, shock horror! After you have paid £800.32 (G) for 3 years (F) the car is yours! Yay! No more payments left! On second thought, not yay. We now have a three year old car which you have paid through the nose for every month for three years. Usually, after three years, your manufacture warranty will expire, your cars first MOT will be due and a major service. Not to mention that the car is now worth nothing in comparison to what you paid for it. If only there was a finance option that will let you give the car back after three years and start again! One difference is there is a ‘balloon payment’ at the end of the agreement. 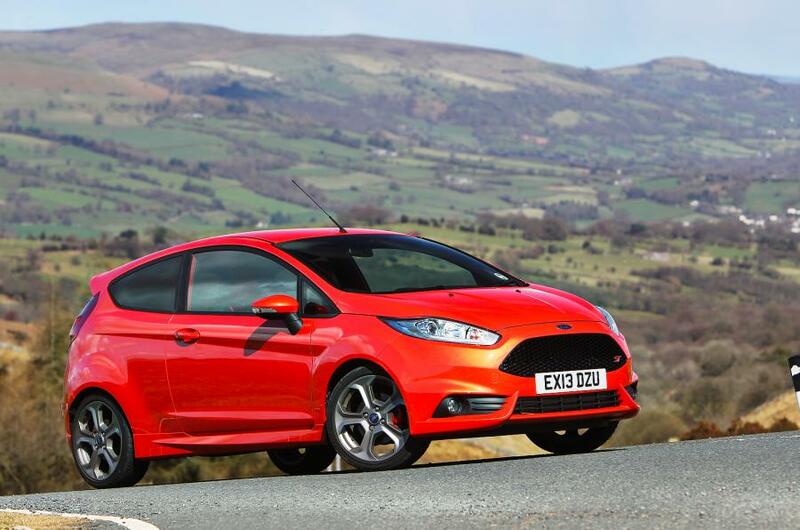 At Ford, we called this the ‘Guaranteed Minimum Future Value’ (GMFV). It is calculated by asking you how many miles you are doing per year and then multiplying that by the term in years which then calculates the value of the car at the end of the term. For example: You are doing 12,000 miles per year, which is the average, for 3 years in a new Kuga. So at the end of that three years they will presume that the car has done 36,000 miles. Now they estimate how much a three year old Kuga with 36,000 miles on it will be. Lets say its £11,403. They make that the balloon payment and guarantee that future value. Hence, the Guaranteed Minimum Future Value! To simplify this I have added the picture below. 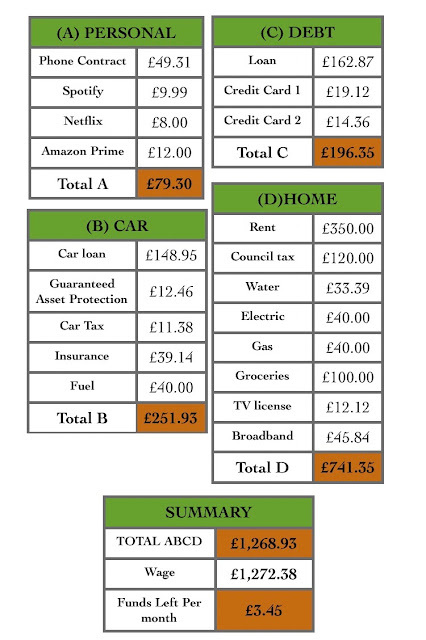 You pay your deposit (on the left) and they calculate the GMFV (on the right) and whats left in the middle is whats divided (plus interest) by the term to give you a monthly payment. You can see that the monthly payments will be much less than a HP. A PCP gives you three options at the end of the agreement. This is the ‘Options’ part. You have paid 36 months of £538.46 and now your term has ended. You can buy the car by paying the £11,403 in a single payment. If the car market has changed and now says your car is worth less than the GMFV then you can just give the car back and the dealership is the one who looses money. Providing, of course, you haven't gone over your agreed mileage! Now, pay attention, because this is where they get you. If you go over the mileage and try and give the car back to them they will charge you so-many pence per mile you are over. If you are 10,000 miles over you could end up paying a lot of money. They will also charge you for ‘unreasonable wear & tear’ so scratches, dents, poor tyres, damaged interior etc. The third option is to trade the 3 year old car in and buy another brand new one, restarting the process. 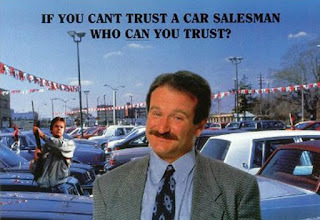 The salesman will sell you the idea that your car ‘should’ be worth more than it owes at the end of the agreement. That difference is used agin as the new deposit on the next car. Yay, don't have to pay another deposit! That’s not always true though. If the market changes and your car is worth less than the GMFV, you will have to find a similar size deposit again to keep going. So in keeping with the previous example, you will have to find another £5,000 to put another deposit down on the next car! The main point at the end of the day is that you will always, always, loose money on cars. They are not investments in any way, shape or form. 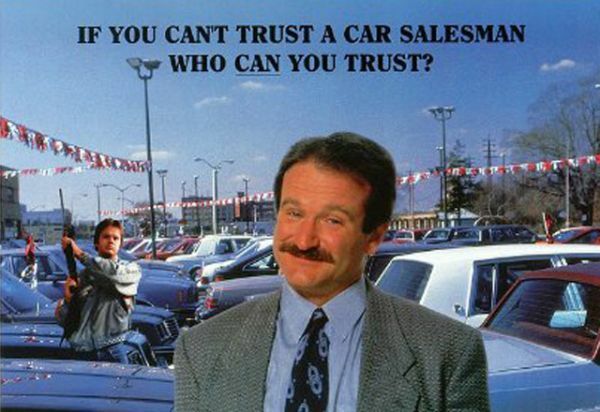 Always be sceptical of financing a car. If you don't have to then, for god sake, don’t! But if you really have to then do the research, seek extra advice and take someone with you for moral support. If you don't understand what you’re getting into, walk away. I'm sure many have been enjoying the hot weather in recent weeks. It’s certainly possible that we are on for one of the hottest and driest summers in a very long time. Temperatures are rising over and above 30C. 37C in some places. It has been such an anomaly that it is being compared to the summer of 1976, the hottest summer on our records (Non UK readers will note that all you need to say in Britain is “summer of 76” and everyone knows exactly what you are talking about). The difference is that 1976 saw 18 days running of 30C+ and we, at time of writing, are only half way through that record. Time will indeed tell. However, I must draw your attention back to March 2018. We in Britain witnessed a beast of uncontrollable and relentless power sweep over our little island. I am, of course, talking about the ‘Beast from the East’. A horrendous storm exacerbated by clashing with storm Emma who was conducting a flanking manoeuvre over the SW of England shortly after. 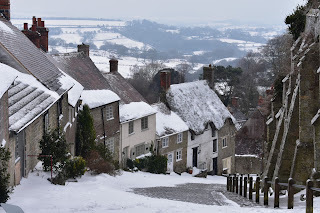 The beast, who began its assault in the SE of England on February 24th, had already covered most of Britain in snow before having to confront storm Emma on the 2nd of march. The storm combo had claimed sixteen lives in Britain. Frozen rain, blizzards, drifting snow, strong winds and some of the coldest temperatures in years gave The Met Office cause to issue a red weather warning, the highest alert, in some parts of England. 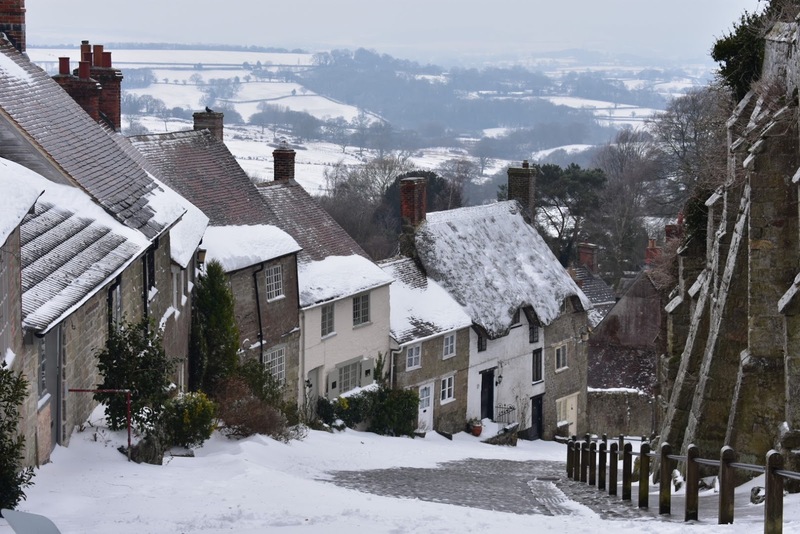 In some places, as much as 50cm (20in) of snow fell and caused mass disruption all over the country. The weather was so bad that I wouldn't have been surprised to see Lord Commander John Snow on BBC news telling us ‘winter is coming!’ Not nearly as bad as seeing a man dressed up as the Night King in my local coffee shop. I may have believed it if I hadn't seen him drinking a double espresso; and yes, for the record, I did ask him if he had had a ‘long night’. Forgive me for being facetious. There is an important connection to be drawn between these two weather extremes. The winter snow from the Beast ended in March and our current heatwave started officially on the 22nd of June. Only three months between them! I would be wrong not to also mention that April the 18th and 19th were recorded as the hottest days in April for 70 years where temperatures rose to 29.1centigrade. The London marathon on April the 22nd was also the hottest London marathon ever recorded at 24C and people participating were strongly advised not to wear any fancy dress. I stress this because I cannot find any evidence online of any similar swing in extreme weather in Britain and in such a short time gap. Anyone who can't or wont believe global warming and climate change are an issue or believe it wont effect you in your own lifetime needs to wake up. The effects are obviously already here. Scientists have said, according to The Guardian newspaper, that climate change has made our heatwave twice as likely. I have included the link to that article below if you would like to read further. Forget ‘winter is coming’. Summer is here! We don't hear about this enough I think. A monthly budget should be apart of every household and I would even be bold enough to suggest that budgeting should be in the school curriculum. Millennials these days have literally no idea how much money is leaving their accounts each month. Counterintuitively, they always seem to know when, and by how much, they are paid each month. Don’t believe me? Try asking a millennial how much they got paid last month. Most will be able to tell you the exact number, sometimes to the penny (or cent). Now ask them how much they spent last month. They may even grace you with a blank stare before reposting, “I don't know exactly how much but I know I'm okay.” This is exclusive evidence that millennials know how to spend money blindly but no idea how to budget. Health warning: Asking someone about their wage is considered rude in Britain. I would also ask you the same thing. Do you know how much is going out? Are you forever getting surprise overdraft fees and bouncing payments? Well, get your glasses on and get a calculator ready because Im going to show you a remarkable spreadsheet. Welcome, to the biggest mind-f**k in personal finance history. The monthly wage is based on the UK minimum wage (£7.83) at 37.5 hours a week. This is based on a working person living alone. The Orange cells are calculations, white cells are inputs. None of these figures, for the record, have anything to do with my own finances. Now, lets take a look into these categories. When doing your own monthly budget, it is important to find every single penny (or cent) that leaves your bank account and add it to this column. If you find that you spend £28.43 on take-away coffee each month then write it in. This spreadsheet is, first and foremost, a shock and awe exercise. Most people have a mobile phone on contract. 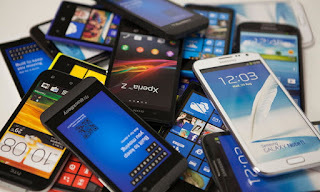 I wont get into the details about smartphones in this blog but that may be a subject later in the year. Let it be said though, most, if not all, millennials have a smartphone today. At the time of writing, a brand new iPhone 8 64GB in a standard colour costs £699 (over $900 US). Who’s got that kind of money to buy a smartphone outright? Spotify, Apple Music, Netflix, Amazon Prime and others have one thing in common. You don't own anything. You pay for the privilege of downloading as much or as little as you like when you like. These streaming services are more and more common but they come at a price. They might not seem expensive but once you add them all up you might be amazed how much you are spending. This has been given its own column because its financial impacts are mind-boggling. In a few weeks time I will be discussing car financing with you all. As an ex-salesman for Ford, I can give you an honest inside look at car financing, however, today we will be taking a more generic look. A car payment of £149 is not expensive but its important to show it. Guaranteed Asset Protection (aka: GAP Insurance) is an additional and optional insurance which, in my previous professional opinion, is vital for car finance. Thats not an elevator sales pitch, its a realistic requirement. For non UK readers: Car tax, insurance, additional insurance and loan details will vary dramatically in Europe and in the US. Car/Road tax and Car Insurance are required by law and can be paid as a single yearly payment or on a monthly basis. Road tax is based on how much CO2 your car creates. Insurance is ‘car specific’ here in the UK. You must take a detailed look at your car spending, especially if you are financing a vehicle, because it will be a real eye-opener when you see the total box at the bottom. Yes, Im sorry, we have to talk about debt. Personal loans are too easy to secure in Britain and can make life harder and not easier. Our ‘modern’ culture gives us permission to take out loans to pay for weddings, televisions, holidays and pretty much anything we can't or won't save for. I know several people, myself included until recently, who have two credit cards. One of which is usually a 0% transfer credit card which is a great way to offset debt and not pay any interest, but only if you’re using it to pay off as much as you can. The two payments in the debt column (£19.12 and £14.36) would be a typical ‘minimal payment’ which only covers the months interest and not the credit itself. In other words, you wont be making any progress in clearing your credit card debt. Add all your debt payments up and be amazed! This should be self-explanatory. 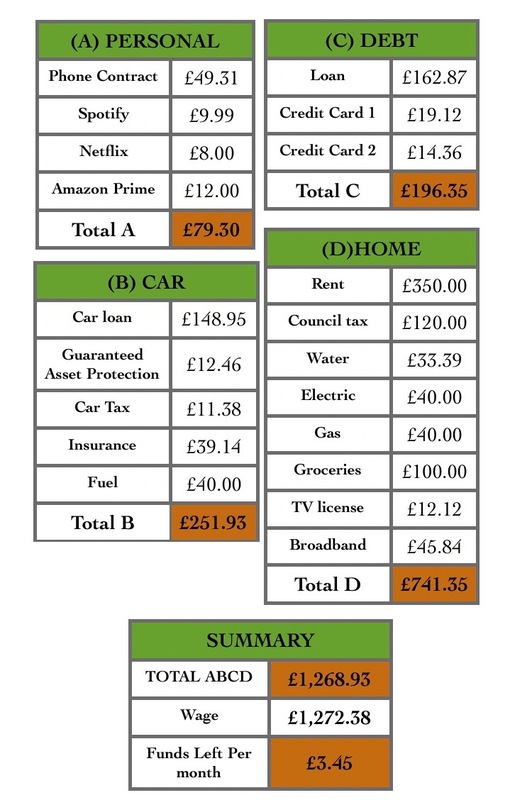 Your basic household bills. Add these up to include your rent/mortgage, utilities, groceries, internet usage and anything else orientated around the home. I don't have children, but if I did I would include childcare and other expenses here in the home column. In this example I have priced the rent at £350 per calendar month which is a very cheap, one bedroom flat (or ‘apartment’ to my american cousins). A decent sized two bedroom house with a garden would be closer to £700 per calendar month. Time to be very afraid. Only 3 cells are required here: the total expenses for all four categories, the monthly wage not including any overtime or bonuses, and the funds remaining cell. It is important to include the first cell because you need to be shocked by how much money is leaving your account. As said previously, the wage in this example is based on an average working week with a minimum wage. The funds remaining is simply the 2nd cell minus the first cell and this is the cell which will make you take massive action. Go back and look at the spreadsheet again. None of the figures here are over-exaggerated and are based on normal UK living. If this doesn't make you want to start writing up a budget right now then either you have more money than you know what to do with or you are frightened by what you will find. If you are frightened, good, get on with it. You must find out where you are going wrong and/or where you can save money to pay off debt quicker and start saving some money. Todays contribution is based on a LBC radio show hosted by James O’brian. 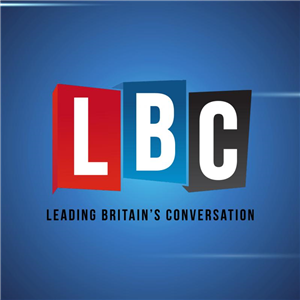 LBC, for those of you who don't know, stands for ‘Leading Britain's Conversation’ and is a daily talk show where listeners call in to give their opinions and share their experiences on a subject chosen by the host. 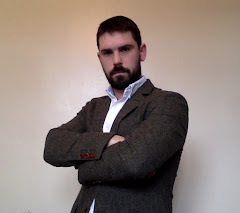 James O’brian in particular is a journalist who is renowned for his fiery arguments, strong yet innocuous opposition to Brexit, his tenaciousness of facts and evidence, and his stance on empathy. James, who can be found on twitter @mrjamesob, has changed the lives and views of many of his one million daily listeners, myself included. Had I the chance to speak with James face to face I would first tell him not to talk over me while I'm trying to talk over him (only his regular listeners will understand that reference). Then tell him that his work on LBC has been the most eye opening, thought provoking and enlightening I have ever heard. All that aside, one subject that caught my attention was the question of “What is the definition of rich?” This was bought about by Jeremy Corbyn, leader of the labour party and her majesty’s opposition. He suggested that rich people in the United Kingdom should be contributing more tax to help the struggling economy; the NHS in particular. It’s not easy is it? Each definition can be easily combated by realising that being ‘rich’ or ‘wealthy’ is perspectival. If Mr Corbyn suggested that, for example, his definition of rich was anyone with combined household earnings of £50,000 and above, those who earn £50,100 a year would be the first to protest. Imagine if you were lumped into a massive tax bracket by a margin of just £100? Just to make matter worse, imagine the smug people who earn £49,999 a year! The not-so-obvious point is being ‘wealthy’ does depend on the difference between income and outgoing bills. 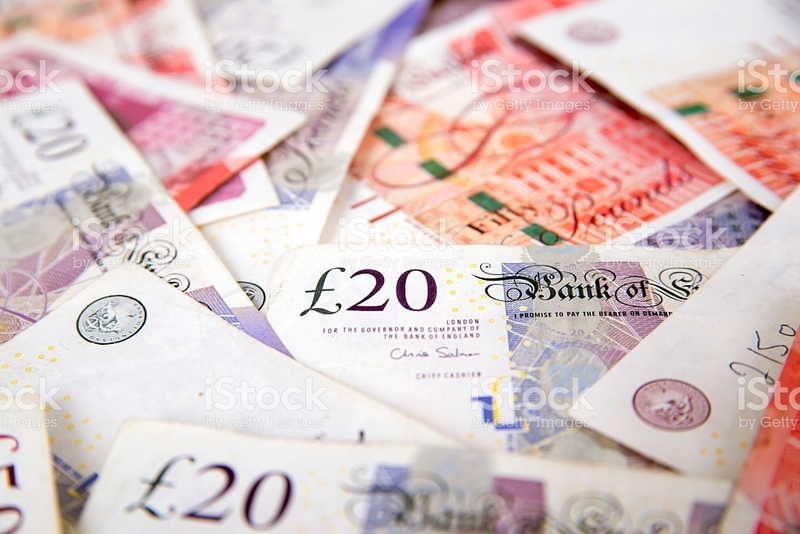 Earning £30k a year and having monthly bills of £1k would make you wealthier than someone earning £120k a year with monthly bills in excess of £10k. Is that rich? The only way to make a fair system in my judgement is to create more tax brackets. Tax should be a gradual spectrum. Anyone earning less than £20k a year should be tax exempt. The tax system could then go up in ten thousand pound intervals. Gradually paying a larger tax percentage each time. This ensures a fair tax system and eliminates the need to use words like rich and poor that always offends regardless which end you think you are. If you think you’re wealthy, you will be offended by being categorised as poor. If you consider yourself less well-off you will be offended by being considered wealthy by government standards. Also, I take issue with the words ‘rich’ and ‘poor’. They are abstract words with no concrete meaning because they depend on ones perception. The only way to make sense of it is to replace them with ‘wealthier’ and ‘less wealthy’ which coincides with viewing wealth on a continuum and not a standardised bracket. 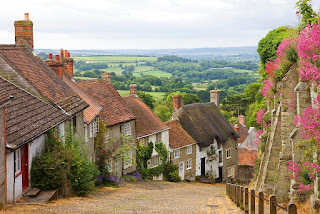 This particular blog will not be a surprise to people living in big cities like London or New York but here, in the southwest of England, everyone has a car when most of us don't need one. In a previous blog I mentioned that my car was the hardest thing for me to let go of when I was going through my declutter stage of my minimalism journey. Why was it so hard to let got of and what helped me through the process? I have chosen to share this particular predicament with you because if you are going through something similar, you will also feel a homogeneous pull and you will make excuses to retain if you don't resist. 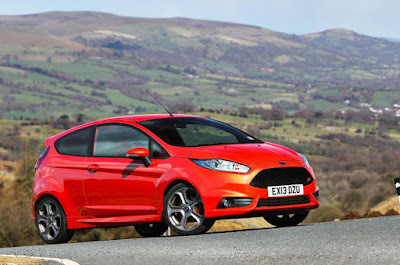 I had, until recently, a 2014 Ford Fiesta ST. For those of you reading from abroad I am unsure if there is a different name for this model but be assured that it is an ‘affordable sports hatchback.’ I often and loudly told anyone who was remotely interested in cars that this ST was my pride and joy. My toy that I could enjoy driving and look good while doing it. Why did I get so attached? Now, this is a massive generalisation on my fathers part but, as it happens, he was right in my case. Father like son I guess. Remembering this was important because I could finally link my 'attachment' to an 'attitude.' Recollecting this young man chasing popularity, women, money and cool cars, allows me to now conclude that I had a serious ego problem. Therefore, it is perhaps a little comforting that I can look back at this time and remind myself that I'm now 28 years old and a different kind of man. Ten years ago I could have been described as a womaniser, narcissistic, arrogant, immature and egotistic. To bring us back to the original point. My ST was a toy, a statement and a “look at me” superfluous object that I jealously held on to by way of habit of my younger self. Once I had made this discovery I was able to start letting it go. Yes, it’s a lovely, fast, good looking car but these days I have nothing to prove to anyone. My partner Ellie hasn’t left me since I sold the car, my friends don't suddenly think less off me and no one else, to put it bluntly, cares! To tie all this together we must return to the question of ‘why’. Be careful not to ask the wrong question; “Why can I not let this go?” That is a very different question. Its too generic and will have you guessing for a long time. Instead, when faced with a situation where you cant let something go, ask yourself firmly and with honesty; “Why am I so attached?” This will focus you to draw on the problem and discover the solution. For me, it was the old teenage egotistic disposition that was holding me back. Whats stopping you?